Thanks to an ‘internal experimental protocol‘, it was possible to launch the first production of the Re Fiascone tomato. The processing took place at the ‘Impresa Agricola Sabato Abagnale‘ workshop located in Sant’Antonio Abate, using the local ancient techniques. In fact, the location was chosen in order to guarantee the best production quality and the right method. Sabato Abagnale with his activities ‘Terra, Amore e Fantasia‘ stands for quality because of his commitment in favour of farmers and local quality productions, as well as his research for an excellent product based on tradition. During the meeting, it was highlighted the importance to start integrated educational activities on the pizza, being a food that links together various sectors. 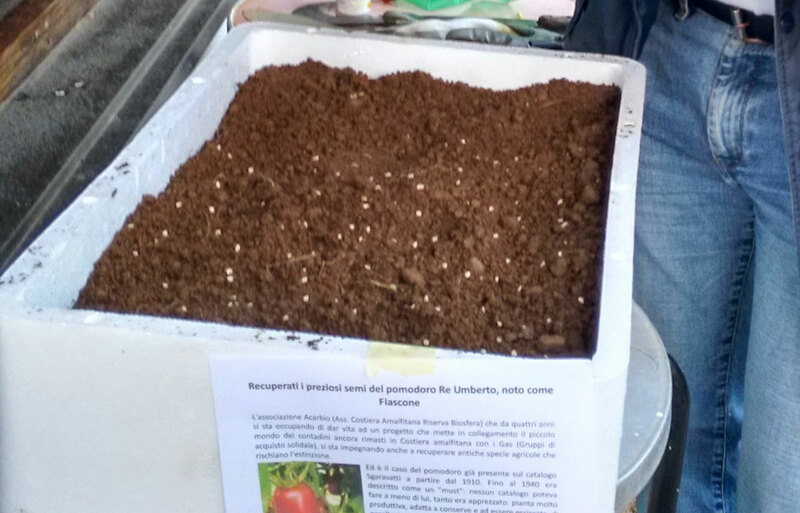 On 26th April, after the CRA – ORT Pontecagnano profiled King Umberto variety, the seeds were distributed to the local farmers. The project is not only crucial for the establishment of the Rural District of the Amalfi Coast and the Sorrento Peninsula but also as an element of territorial promotion for the candidature of the area as Biosphere Reserve within the UNESCO Man and the Biosphere Programme (MAB). according to their competence, distinction of the natural features, production, development, promotion and sale of the product lines related to the King Umberto tomato (also known as Fiascone). One of the seedbed of the King Umberto tomato. The ‘farmers/guardians‘ commit to follow the disciplinary set by Consorzio di Tutela (Protection Consortium) in order to meet the requirements of current pesticides legislation for the King Umberto tomato, especially on the preharvest interval. 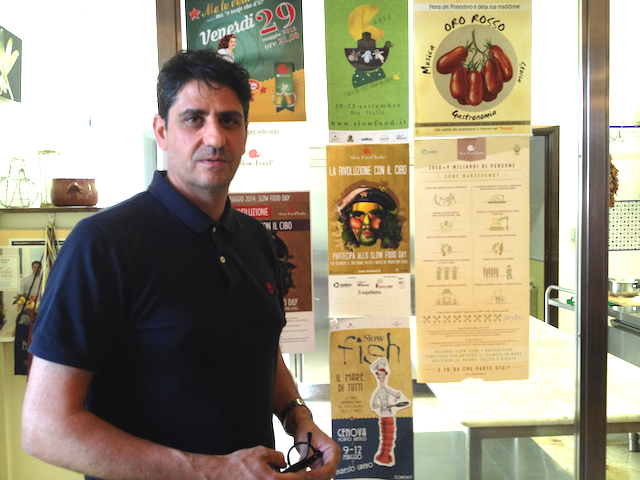 The main goal is to establish the Protection Consortium for the King Umberto tomato and the foundation for the Rural District of Coastal Area, introducing other local products.